World’s Best College Scholarship Websites. In the process of learning and reaching new levels of educational success, one sometimes faces many problems. Most of the time, this problem is in the form of a financial calamity. Some students think of leaving the education halfway or not pursuing it till the end. Going one step higher in education brings with it a lot of financial uncertainty. Not all students are capable of raising that much fund to support their application. At such difficult times, Scholarship comes as an opportunity in disguise for thousands of students. In simple terms, Scholarship is any form of Financial aid given to a student who truly needs it for their higher studies. The scholarship is given to the criteria of the purpose. Scholarship amount may not be repaid by the student. There is a difference in Scholarship and Grants. A student gets a Scholarship because either he is agreeing to take up a particular career or he gets selected based on academic or artistic ability. On the contrary, a grant is an entitlement. If the student meets its qualification, then he/she is given the grant. I. Based on Merit: This Scholarship is based on the student’s academic or artistic abilities and achievements. These Scholarships are given by the student’s own college or organization. II. Based on Need: Generally, grants are classified as Need based. But some scholarships which are given by private sources are also need based. III. Student Specific: This scholarship is given to a specific student considering factors like Gender, Race, Religion, Family and Medical conditions. IV. For specific career: These scholarships are awarded by colleges and universities to the students who are planning to continue studies in a specific career. V. Athletic Scholarships: These are given to students who are exceptional in some sports. These students often miss out on college due to their sports commitments. Hence this scholarship caters to them. VI. Brand Scholarship: Sponsored by a specific brand. • Cappex: This website caters to a wide array of topics. Here, you will find a lot of college statistical data also. The website is user-friendly with easy navigation options. There are reviews of students regarding different colleges. Cappex searches more than 3000 school profiles and refines the best scholarship provider for your future academic needs. All you need to do is fill out a form which requires your personal information. In this way, you will get options of scholarships from different countries. Cappex also allows you to compare different student loans so that you can find one which suits your needs the best. • Scholarships.com: This website has been serving students of various colleges since the year 1998. It has a comprehensive and wide range of database of monetary awards. This website can be the goldmine for students to get connected to higher educational goals. The appearance of the website may seem little cluttered but all the information is useful. You need to complete your profile and submit it. After this, you will be able to explore the suitable scholarship providers. Scholarships.com has a unique feature called the college Matchmaker. BY using this feature you can conduct a refined search based on fees, school size, and required scores. • Scholarshippoints.com: This website has a friendly and fresh appearance. The articles on this website are a blend of information and fun. The Drawback of this Website is a major one. You have to complete certain tasks and then you can compete for the funds. The website gets you excited about finding financial aid. Advisors created this website in the year 2006. This organization has been a helping hand to students who find it difficult to pay their educational funds right from 1998. The participants are given opportunity or rather tasks to earn points. Then you can spend these points to apply for entries. Ways of earning points on this website include surveys, games and much more. • Fastweb: The Fastweb website is in operation since 1995. It works towards helping all the students achieve scholarships and other monetary help to take their career dreams to the next level. Till date, almost 1.5 million scholarships have been made available through this website. The website is easy to use and understand due to its user-friendly interface. • Chegg: This website is a place where you will get everything related to college. The website offers scholarship search tool, Study solutions, internship connections etc.You can save your scholarship search results for later also. • Unigo: This website offers scholarships, jobs, internships, college rankings, and profiles etc. The categories in this website are easy to navigate and browse. It maintains the privacy of the user and does not share your profile details. • The College Board: Like others, this website also caters to various interests and has a user-friendly interface. Apart from scholarships, here also you will get other information on college profiles, ranks, reviews and much more. • Niche: It was earlier known as College Prowler. The website is very neatly organized and the user can find the desired results with ease. • Collegenet.com: It has a good number of scholarships to offer. The search can be keyword based or you can also create your own personalized profile. • Scholarship Monkey: Here you will get 3 options to search; By keyword, by lists and by personalized. The scholarship database is huge. 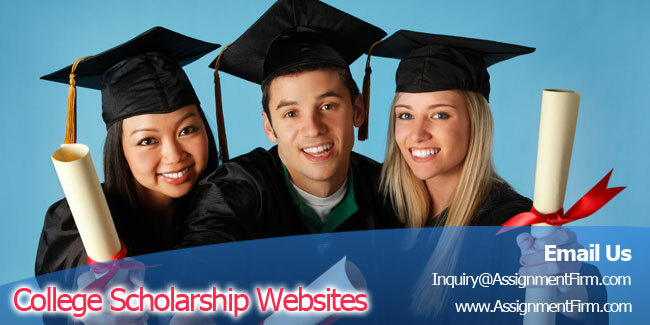 Choose the best Scholarship Website so that it helps you in selecting the most appropriate scholarship program. Make a detailed research of the option you are considering.